We offer exciting careers within a diverse and fast-moving company, and are proud to foster a work environment which encourages creativity, teamwork and happiness. From Toyota, Mercedes-Benz, and Lexus to Kenworth, Mack, Volvo and many more, the CMV Group boasts magnificent brands to work with. We encourage our employees to develop and learn. Speak with us about how we can help you to grow. Our employees receive on-the-job training, including manufacturer training. We love to see our people succeed, which is why we foster internal promotions and careers. To recognise continuous service to the CMV Group, employees receive service awards annually. Milestone years are also recognised with badges. An employee of the year from each business is recognised and rewarded at our annual staff dinners. At CMV Group, fostering a rich sense of community within the business is important to us. Each year, an annual staff dinner is held for all staff members and their partners, both in South Australia and Victoria. At Christmas, a picnic is held for all staff and their families. Safety is in our DNA at CMV Group. From our workshops, to offices, to our CMV Farms sites, our safety practices are core to our day-to-day work. Find out more here. CMV Group cares about the wider community. With the help of our CMV Foundations and their committees, we distribute funds to help many local charities and causes. We also sponsor a range of community events that our staff enjoy participating in. We like to celebrate special times of the year with our staff. Employees receive birthday cards each year and a hamper of Australian goodies every Christmas. We offer a great range of brands and demonstrate a high level of service, so it is no surprise that our employees would like to make the most of that too. To show our appreciation, we offer generous discounts to our staff. Health discount: CMV Group has partnered with two health insurers, BUPA and Medibank, to bring employees great value on health insurance. Both health insurers offer discounted rates to CMV Group employees, in addition to added member benefits. Employee Assistance Program: To support the health and wellbeing of all employees, CMV Group offers a confidential counselling service that is available to all employees and their direct family members. Each family member is entitled to three sessions per year at no cost. Income protection insurance: after six months of employment, CMV Group offers all staff subsidised premiums for income protection. This means that if a participating permanent full-time employee is off work for an extended period of time due to sickness or injury, they can still receive weekly benefits. IT perks: CMV Group employees have access to a range of discounts through our IT and telecommunications providers. Baby bonus: We're always thrilled to hear of the wider CMV Group family expanding. To celebrate the birth or adoption of a child, employees receive a $200 baby bonus. In today’s modern workshops, technicians must be able to problem solve, be highly skilled in the latest technology and machinery, and be able to work as part of a team. If you are interested in a career in the fast moving automotive industry and are seeking more than just a job, then a unique CMV Group automotive apprenticeship may be just for you. 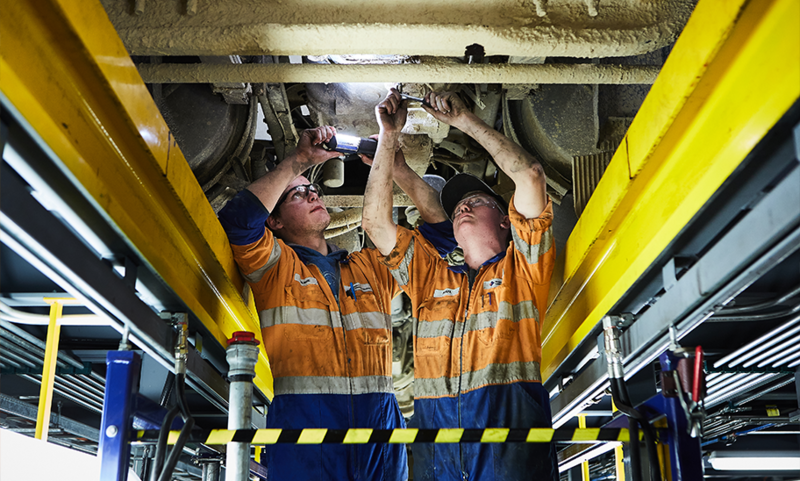 Apprenticeships are currently available at CMI Toyota (South Australia), CMV Truck Centre (South Australia), and CMV Truck & Bus (Victoria).